VW Beetle Pillow — Planning Stages! 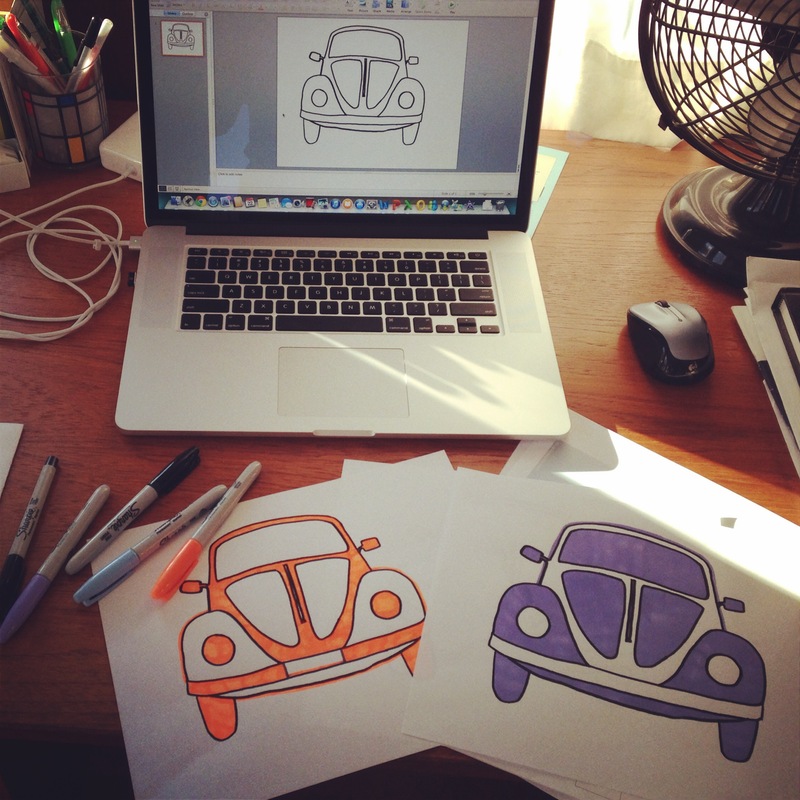 I’m working on a stencil of a VW beetle–to print on fabric and make into a throw pillow for my son’s window seat. A VW bug is trickier than a VW bus–it’s less obvious which parts should be negative/positive space. Right now, I’m leaning toward the image on the right (the parts shaded in purple Sharpie will become the painted areas). What do you think? 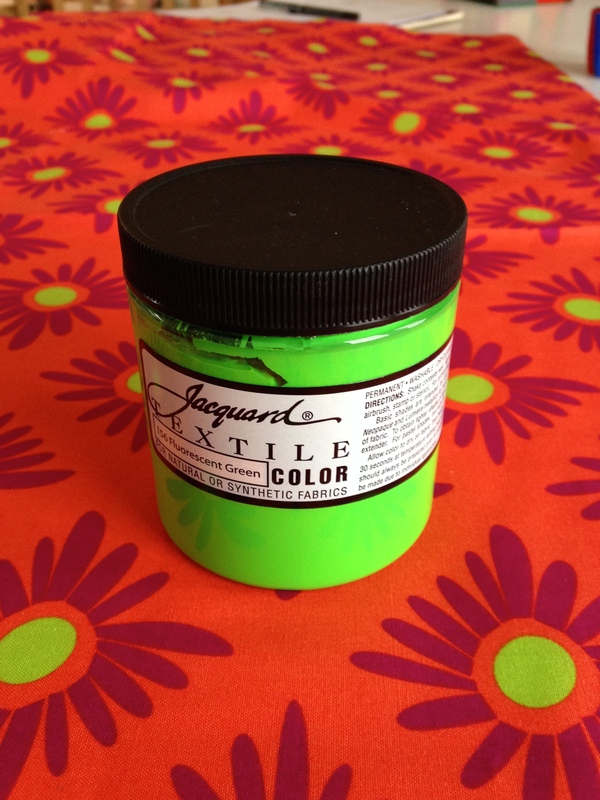 Here is the neon green fabric paint and the groovy orange-pink print I’m considering for the pillow. At the fabric store, I told the folks at the checkout counter that I was aiming for the opposite of tasteful. “You’ve done well,” they assured me. Is the original green Bug still parked at the barn nearby? Did you draw the VW and then scan it? (If yes, I’m impressed with your drawing skills!) Or did you use Illustrator or some other software? I wish I had illustrator, but no, I drew and scanned. I don’t have Photoshop on my new Mac so instead of graying areas in the image on the computer, I colored with Sharpie! That “you’ve done well” comment is priceless. I don’t understand how the stencil works There are “islands” (like the headlights) that can’t stay in after the cut outs are done. How will you solve that. We are on the edge of our seats, waiting for the next post.